That same day, Common Cause in Wisconsin called on Governor Jim Doyle to call the Legislature into Special Session or for Wisconsin Assembly Speaker Mike Sheridan and State Senate Majority Leader Russ Decker to call the Legislature into Extraordinary Session to pass disclosure legislation so that it will be in place for the upcoming 2010 elections: Special or Extraordinary State Legislative Session Needed for Campaign Finance Disclosure Reform. The Milwaukee Journal Sentinel noted our call the very next day: Legislative job left undone. Then, on April 29th, the Janesville Gazette - in Speaker Sheridan's hometown - endorsed our call for a Special/Extraordinary Session on disclosure: Legislators must return and expose phony issue ads. And last week both the Sheboygan Press and Oshkosh Northwestern joined in the call, as have other reformers. Thus far, there has been nary a word from Doyle, Sheridan and Decker on this matter -- which requires their leadership in order for it to be accomplished. Major disclosure legislation was unveiled in the U.S. House and Senate last week (see: Lawmakers call for restrictions on political ads) and the Congress is expected to move on it quickly. President Barack Obama has expressed support for it. But in order for there to be disclosure in state elections, the Legislature must act. 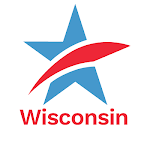 Today, the Wisconsin Government Accountability Board is expected to announce that it is has sent to the Legislature an administrative rule requiring the disclosure of all widely disseminated campaign communications that currently masquerade as issue advocacy. It will take effect unless the Legislature moves to block or modify it in the next 30 days. Disclosure legislation passed by the Assembly and State Senate and signed into law by the Governor would be even better and far less vulnerable to legal challenges that anti-reform organizations will file against disclosure measures no matter what form they take. Call or E-mail Governor Jim Doyle and demand he call the Wisconsin Legislature into Special Session to consider and pass the phony issue ad disclosure legislation - Senate Bill 43 - which has the votes to pass both chambers. Call or E-Mail Assembly Speaker Mike Sheridan and Senate Majority Leader Russ Decker and demand they show leadership on disclosure and call the Legislature into Extraordinary Session to get the job done by passing Senate Bill 43. Doyle, Sheridan and Decker Need to Lead in Passing Campaign Disclosure LegislationTweet this!